Last century witnessed widespread use of phenolic and polycyclic aromatic hydrocarbons (PAHs) as dyes, polymers, plastics, pigments and also in pharmaceutical sectors. 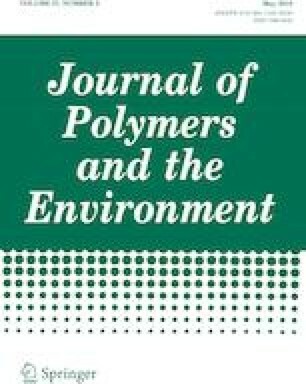 However, the uses of both these compounds in monomeric or polymeric form are being discouraged because of its origin from non-renewable resources. Due to the environmental concern, there is a great need of eco-friendly material. Hence, several countries are adopting green products or products based on renewable material. Among several materials, furfuryl alcohol (FA), polymerized furfuryl alcohol and lignin show tremendous applications as solvent, resins and bioplastics or biopolymers. Once these materials either in liquid and solid form are used, then there are chances that these materials will be disposed of through land fill system. We have discussed the microbes responsible for degrading lignin as well as widely used phenols and PAHs along with the parameters involved in the degradation process of these monomers or polymers so that the probable degrading microbes for FA and their pathways can be proposed. Lastly, we have tried to present the degradation kinetics of all four aromatic compounds with literature available till date.